The following text is taken from the incredible site TopDocumentaryFilms where you can find many excellent documentaries you may have missed. I encourage your perusal of this site. This series is about how those in power have used Freud’s theories to try and control the dangerous crowd in an age of mass democracy. Sigmund Freud, the founder of psychoanalysis, changed the perception of the human mind and its workings profoundly. His influence on the 20th century is widely regarded as massive. The documentary describes the impact of Freud’s theories on the perception of the human mind, and the ways public relations agencies and politicians have used this during the last 100 years for their engineering of consent. Among the main characters are Freud himself and his nephew Edward Bernays, who was the first to use psychological techniques in advertising. He is often seen as the father of the public relations industry. Freud’s daughter Anna Freud, a pioneer of child psychology, is mentioned in the second part, as well as Wilhelm Reich, one of the main opponents of Freud’s theories. 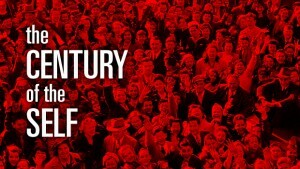 Along these general themes,The Century of the Self asks deeper questions about the roots and methods of modern consumerism, representative democracy and its implications. It also questions the modern way we see ourselves, the attitude to fashion and superficiality. Happiness Machines. Part one documents the story of the relationship between Sigmund Freud and his American nephew, Edward Bernays who invented Public Relations in the 1920s, being the first person to take Freud’s ideas to manipulate the masses. The Engineering of Consent. Part two explores how those in power in post-war America used Freud’s ideas about the unconscious mind to try and control the masses. Politicians and planners came to believe Freud’s underlying premise that deep within all human beings were dangerous and irrational desires. There is a Policeman Inside All of Our Heads, He Must Be Destroyed. In the 1960s, a radical group of psychotherapists challenged the influence of Freudian ideas, which lead to the creation of a new political movement that sought to create new people, free of the psychological conformity that had been implanted in people’s minds by business and politics. Eight People Sipping Wine In Kettering. This episode explains how politicians turned to the same techniques used by business in order to read and manipulate the inner desires of the masses. Both New Labor with Tony Blair and the Democrats led by Bill Clinton, used the focus group which had been invented by psychoanalysts in order to regain power. Natural doesn’t always mean natural. 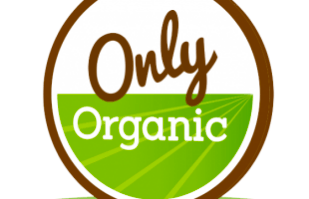 This mockumentary by Only Organic gives you a little heads up on what and what isn’t organic. Brilliant take on the rampant greenwashing of our food and lack of ethics used in food marketing. You can find other funny things on my blog here. In the nature of the beast, the advertising industry is about as trendy as high school. With larger corporations leading the way, executing these “hip” marketing campaigns leads to infectious awareness, leaving everyone talking. This can prominently be found in a company’s stance on the state of our planet’s well-being. Brands big and small from across the globe have vowed to become more environmentally conscious and the idea of “green” advertising is becoming more popular in order to target a new wave of ecologically savvy consumers. Seeing as billboards provide businesses with an optimal combination of size and visibility, brands from around the world are approaching outdoor advertising services with creative, eco-friendly advertising campaigns. What is it about this “greenvertising” movement that has eco-friendly ads sweeping the globe? Most likely its versatility and cost-efficiency. Take a look around you – when it comes to leveraging the environment to sell a product/share a message, Earth is your canvas and nature is your palette. As I mentioned earlier, the advertising industry is a very trendy niche. Staying up to date on what’s working and what’s not is essential when it comes to managing a successful ad campaign. Within the realm of eco-friendly advertising there are some significant trends that companies have been capitalizing over the past couple years. Trend #1: Consumers like shiny things: If there is one thing that is sure to capture the attention of your audience it is cool gadgets. As I mentioned previously, advertising is a trendy industry controlled by fads and the latest crazes – and sustainability is “in” right now. In all reality the functionality of a product could mean very little to the consumer as long as they get to jump aboard the eco-train. By taking advantage of a trend driven society, companies are able to appeal to the masses by marketing their products under the guise of sustainability. 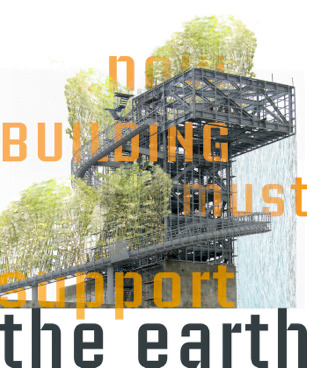 Trend #2: Imagination: For the most part, the direction that the green movement is headed is largely unprecedented. Because of this, companies are able to take advantage of the unknown and use it to excite their audience. Whereas things such as electric vehicles and solar power are far from being new technology, we are still yet to see them as an accepted norm in society. Although this green movement has been years in the making, it is the unknown factor that opens the door for limitless innovation – like a block of marble waiting to be turned into a masterpiece, all it takes is a little imagination. Trend #3: Facts Facts Facts: You can’t cheat science. When it comes to making claims about how environmentally conscious your company is, it’s pretty easy to slap on a tag word such as “green” or “sustainable”, a practice commonly referred to as ‘greenwashing’. This worked for a while, however consumers are beginning to challenge said claims and question the validity behind these so-called green standards. In fact the FTC has actually begun producing “green guides” that serves as a guide for what is fact and what is fiction when it comes to environmental claims. Trend #4: Green = Green: At the beginning of the green movement consumers were willing to pay steep prices as long as it meant saving the planet. As the eco-friendly ideology became more popular, less people were willing to pay top price for achieving the same endgame when they could just opt for the cheaper product. In response to this change in dynamic, environmentally friendly products have not only seen a decrease in pricing but changes in advertising strategy as well. By lowering prices and marketing with a message, these companies aim to get their customers to stick by their cause for the long run. Trend #5: Take Action: As Gandhi famously said, “be the change you want to see in the world.” Like I mentioned earlier, no longer can companies get away with petty claims of making a difference and saving the Earth. That’s because the consumer is standing on the other end of that message saying “prove it!” By taking part in service projects and designing campaigns around environmental causes, brands can show the public that not only do they stand by their claims, but that they are actively working towards making a difference. 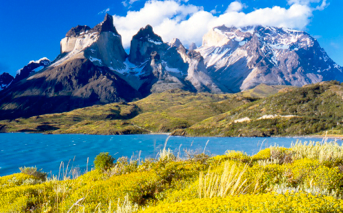 In an effort to be as transparent as possible, Patagonia’s Footprint Chronicles outlines the details of the company’s supply chain, as well it’s social, environmental, and industrial impacts. Leading by example, the company hopes to see other brands catch on and actively work towards reducing their impact on the environment. There are many people out there that are unaware of the sustainable properties of cotton. Even more so, many people out there are unaware that denim is in fact cotton. 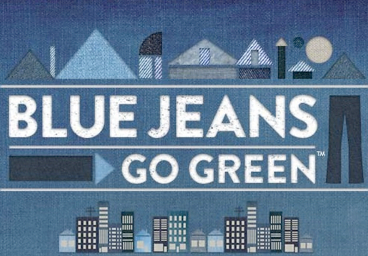 By utilizing college campuses, the Cotton Blue Jeans go Green campaign aims to educate the public on the recyclable properties of cotton, specifically denim, all the while making a difference in their community. Each Fall Cotton selects a handful of college campuses from across the nation to represent this campaign. The students then design a full scale sustainability focused PR campaign in order to educate their community while collecting old denim. Once the denim drive is over, the material is sent back to Cotton where it is broken down to its original fiber state and used to create UltraTouch Denim Insulation for low-income housing. As a veteran media planner, Darren Leach has spent many years specializing in outdoor marketing strategies. He currently writes on behalf of Billboard Source and in his spare time Darren enjoys exploring the colorful neighborhoods of NYC. 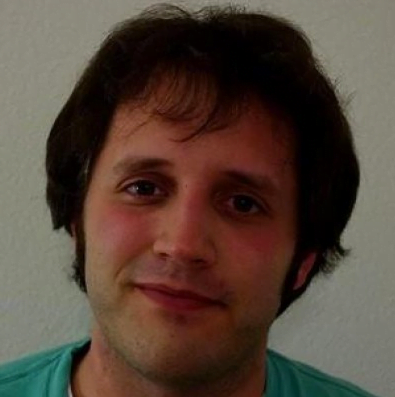 Darren is also into HR and is currently writing about business feedback for company staff and their clients. Guest Post: What are the 7 Graces of Marketing and Life? What are the 7 Graces of Marketing and Life? My friend and colleague, Lynn Serafinn, has just published her new book The 7 Graces of Marketing: how to heal humanity and the planet by changing the way we sell. The ideas she presents in this 400+ page book are a call to action, not only to business owners and marketers, but to everyone one of us as a consumer. Reading Lynn Serafinn’s list of the marketing graces (below) is a liberating experience. Lynn paints it out so clearly–for each virtue, there is a toxic mimic (twice the calories and none of the nutrition)…Marketing shouldn’t feel like we’re holding our breath just waiting to be discovered as frauds. It should feel like easy breathing. Lynn’s astounding contrast of virtues and vices is such an excellent guide. I can’t wait to dive deeper into it. This is the “antidote” to the “Deadly Sin of Disconnection”. Connection is at the foundation of everything in life—Connection to Self, Source, others, our businesses, and our audience—determine how effectively and authentically we communicate and conduct our lives. When business owners are disconnected from Self, their businesses cannot be genuine representations of who they are. And the problem is, as businesses get bigger and bigger, that Connection becomes increasingly difficult to maintain. When business owners are not connected to Source and others, it opens to door to exploitation of both natural resources and people. Connection is the first of the 7 Graces, because without it the other Graces cannot manifest. This is the “antidote” to the “Deadly Sin of Persuasion”. The literal meaning of the word “Inspiration” means “to breathe life into”. As business owners, we have a choice to be “life giving” to our audience or “life robbing”. Persuasion, wherein we will do anything and everything to make a sale/profit, is life robbing. As business owners, it is our responsibility to “feed” society, and thus ensure not only that our products and services are life-giving, but also that our communications (marketing) is life-giving. For marketing to be filled with the “Grace of Inspiration”, it should never incite fear, anxiety or feelings of inadequacy. This is the “antidote” to the “Deadly Sin of Invasion”. Nearly every form of marketing we see today is invasive. Our attention span is continually interrupted, whether it is through television/radio adverts, pop up messages, uninvited email adverts, cold-calling or billboards. As business owners and marketers, we need to bring back the “Grace of Invitation” into our communications. This means that when visitors come into our “space” (our website, our office/shop), we treat them like respected guests, offering them hospitality and generosity. Conversely, when we come into our customers’ space (as when we send out emails), we must do so with courtesy and care, ensuring we never become the dreaded “houseguest from hell”. This is the “antidote” to the “Deadly Sin of Distraction”. So much modern advertising depends upon Distraction to seize and maintain our attention. Nearly every advert you see will utilise random brand identity triggers and humour to get us to pay attention. What is wrong with this is that people end up buying products simply because they remember the advert, and not necessarily because they have been given direct, clear information about the product or service. Directness is simple: we marketers need to get back to “telling it like it is” instead of hyping up our businesses. The public need to be informed and empowered. The Grace of Directness allows that to happen. This is the “antidote” to the “Deadly Sin of Deception”. Deception in marketing is rife, but is sometimes extremely subtle. In the book, I give many examples of how language and imagery are often used in a deceptive way in marketing, where technically (and legally) the message is “true”, but the unconscious message we perceive is untrue. Transparency literally means “to shine light through”. When we are Transparent in marketing and in life, we are not merely being honest, but we are also allowing the true intention behind our thoughts, words and deeds to be seen and heard clearly. When we walk in Transparency, both in business and in life, we are walking in the Essence of who we really are. This is the “antidote” to the “Deadly Sin of Scarcity”. The chapter on Scarcity in the book is one of the biggest, because it’s simply such a massive topic. Scarcity marketing is all around us, and it appears in so many forms, from limited-time offers to the various kinds of “obsolescence” used to incite us to buy beyond our needs or means. Abundance, on the other hand, is the fundamental belief that there is enough for all—when we are living in rhythm with the planet. It is our natural state of being. If we operate our business from the fundamental belief in lack or Scarcity, we will always bring Scarcity strategies into our marketing. The irony is that Scarcity begets Scarcity. In other words, if we operate from a Scarcity mentality, we are likely to create the very Scarcity we most fear because the end result will be overconsumption. Overconsumption is destroying both our economy and the ecological balance of our natural world. But if we operate from a fundamental belief in Abundance, we will not bring such fear and anxiety into our marketing, and overconsumption will be a thing of the past. This is the “antidote” to the “Deadly Sin of Competition”. Many people have the false notion that competition is necessary to create healthy economies and stronger societies. But this is largely a myth and has no foundation in Nature whatsoever. While I believe in “free enterprise”, this is not the same thing as Competition. In the book, I cite many studies that have proved how Competition diminishes creativity and innovation. When we conduct our businesses or our lives with a competitive mindset, we not only reduce our own performance, but we also reduce the support we receive from others. On the other hand, Collaboration always results in something greater than the sum of its parts. Every single marketing campaign I have produced is based upon Collaboration. The permaculture of the world is actually one giant, interdependent Collaboration. We’ve been brought up in a competitive world, but the more connected we become via technologies like social media, the more we see that Collaboration is the way we perform best. 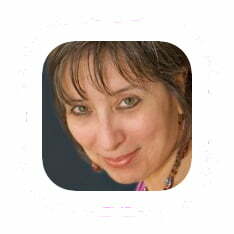 I hope you enjoyed this overview of The 7 Graces of Marketing from author Lynn Serafinn. If you want to dive more deeply into this paradigm … do check out Lynn’s book The 7 Graces of Marketing on December 13th. Let’s talk about marketing from another angle: the environment. We’ve got a problem. And the problem is that no one wants to admit there’s a problem. To make it worse: there are many who actively don’t want us to see that there’s a problem. And if you try to speak up to say that there is, indeed, a problem – they will call you unpatriotic, negative, a whiner and pessimistic. They will frame your concerns and critiques as pathetic and cowardly. As, against progress. Case in point, a few months ago Greenpeace campaigner and old friend Mike Hudema was on the air on Alberta Prime Time with columnist (and apparent oil industry apologist) Ezra Levant. Ezra came out fighting. And framing. He argued that Alberta’s oil was the most ethical oil in the world. And, to be fair, made some excellent points. So, let’s give him this. He’s likely right. But we need to step back a bit and look at this frame of comparison. Almost anyone looks good standing next to Hitler. It’s the easy way out to say, ‘We’re not as bad as ______.’ There’s always someone worse than us. Always. But what if we started comparing things to where we want them to be? If you’d like get cool posts like this in your inbox every few days CLICK HERE to subscribe to my blog and you’ll also get a free copy of my fancy new ebook “Marketing for Hippies” when it’s done. Greenwashing is where companies try to make normal things seem green (vs. making green things seem normal). It’s where they spend more on ‘seeming’ green, than BEING green. This video says it all. you don’t sell to a community. you support a community. As many of you know, I spend a lot of time thinking about this notion of ‘becoming a hub‘ as a business. And something about it has always felt . . . dangerous. Or . . . a little ‘off’ or ‘inauthentic’. Or at least like there was the potential to be. 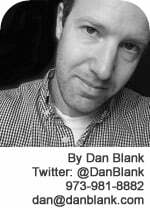 And this post I just read from Dan Blank nails a lot of my concerns. In fact, I’d like to coin a term: community-washing. Let’s add it to ‘green washing’, ‘local washing’ and a term I think I coined ‘good washing’. For me, community washing is where the rhetoric is all about community – but the reality is about marketshare. It’s where the conversation around ‘building community’ is disingenuous because the primary driver is about turning the community into customers. I wonder if a driver behind community washing is that we’re really uncomfortable talking about business and money directly so we couch it in feel good terms. I am seeing more and more businesses get on this train. 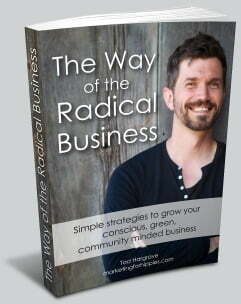 It can be called building community or ‘growing your tribe’ and talked about in the hippiest of terms. And yet – I find myself wondering if we’re being real about what we’re doing (and why we’re doing it). The irony is – these feel good terms can make it feel ten times as gross if it’s not authentic. Here’s what Dan has to say . . .
Companies now realize that there is business value in social media. That it is worth an investment of their time and resources, that it can bring them closer to those in their market, and can be a powerful marketing platform. But there is one term that us being thrown around a bit too casually: community. Suddenly, every company is “developing” a community online, or engaging an existing community, at least in their marketing plans. But a crowd isn’t a community. A market is not a community. Greenwashing. It’s when a company makes a big deal about being green and being committed to sustainability but in reality doesn’t do much. It’s like goodwashing – where people laud the fact that they give so many crutches out to the crippled – ignoring the fact that their factories and mines are what cripple them. I live in Edmonton, Alberta and a few hundred miles north of me are the Tar Sands – one of the largest and most environmentally destructive projects on the planet. It’s hard to describe. Think Mordor from Lord of the Rings and you’ve got some idea. Of course, it’s no good if the masses think that it’s that bad (even if it is). So, a huge campaign has come out to greenwash the tarsands. Much like BP is engaged in a huge campaign to convince people they really care about cleaning up the Gulf. Luckily, marketing has all sorts of uses – and in this Greenpeace project (sent to me by Mike Hudema) you’re being asked to use your marketing savvy to UNGreenwash the Tarsands. I encourage you to check this out and contribute – and spread the word. Faced with the grim realities of tar sands oil extraction, the Canadian Association of Petroleum Producers (CAPP) seems like it would rather take its dirty money and run a huge publicity campaign to make the tar sands look better, than actually address the pressing environmental and human rights atrocities caused by tar sands development. 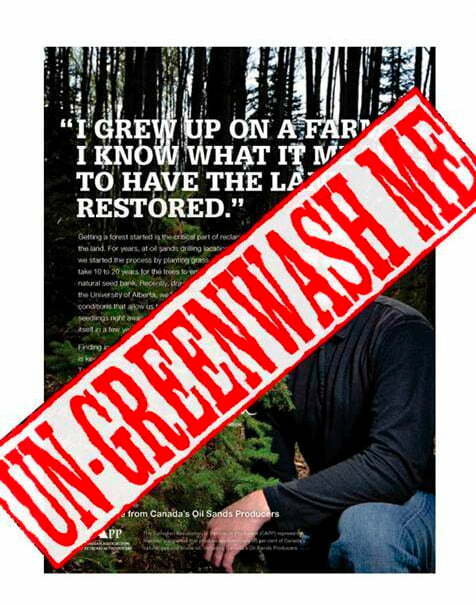 CAPP is trying to greenwash the destruction that is taking place in Alberta through a series of print and video ads. Check them out here – http://www.capp.ca/oilsands/ads/. They must think we’re stupid to believe what they’re feeding us: that everything in Alberta is A-okay. But we’re not stupid; like you, we know that everything is not okay in Alberta. And we need your help to make sure CAPP doesn’t get away with its latest dishonest game. The truth is that the tar sands are an immensely destructive project. To date, tar sands oil extraction has devastated an area the size of the city of Toronto. If oil extraction from the tar sands continues unchecked, it has the potential to destroy an area the size of England. Toxic tar sands tailings lakes already span 170 square km, which is an area larger than Lake Muskoka, and they are growing every day. Downstream, primarily First Nations communities, are seeing increased sicknesses in their communities, seeing a traditional way of life becoming further displaced and many are afraid of drinking the water. Everyday, 11 million litres of toxic tailings leak into the surrounding environment. The current greenhouse gas emissions of the tar sands is equivalent to that of 9 million cars. By 2020, it is projected that the greenhouse gas emissions will rise to the equivalent of the annual emissions of over 26 million cars, which is 1.5 times the greenhouse gas emissions of all the cars in Canada. The spin campaigns waged by CAPP, as well as the Alberta government, are a direct response to the pressure that you’ve helped us generate. It is time to show CAPP that any attempt to greenwash the tar sands will not go unchecked. That’s where you come in . . . Are you game to help us fight BIG OIL? Take a look at the CAPP campaign. Download one of the videos or print ads. Have fun!! Construct the funniest or edgiest mash-ups, image swaps, collages, rewrites, or remixes you can think of. Be smart, be edgy, be creative, and most of all, have fun with it! It is time to turn these gross distortions of the tar sands destructive reality against themselves. It is time to fix these greenwashes with the truth about the tar sands. f) Twitpic it with the hashtag #cappwash. Oh yeah. One more thing. In order to amp up the fun and excitement, we have made the CAPP ad jam into a contest. There will be prizes for the top print and video jams. The winning entry will be published. We will highlight entries on our website as we tally up the top choices. Submit your ad jams on the facebook page wall or email them to capp.